Ed Miliband’s first speech as Leader at the Labour Party conference yesterday was short of content and specifics. So, that’s exactly what you’d expect from a man who took the helm at the weekend. So this Ed Miliband generation speech at Conference was just the ticket. Ed Miliband is someone who now has to face a long “journey” to electoral recovery. Leading and rousing his party for the task. So, and that’s a favourite word of Ed Miliband, what did he set out to do? In essence he wanted to tell the watching world about himself, his background and that of his parents. That background contained the themes of journey across the Channel, escape from persecution, hard work and educational attainment. But beyond the mention of Ralph’s Navy service, he didn’t get at all specific about Ralph or Marion Miliband, their achievements, their Marxist politics or their influence on Ed or older brother, David. 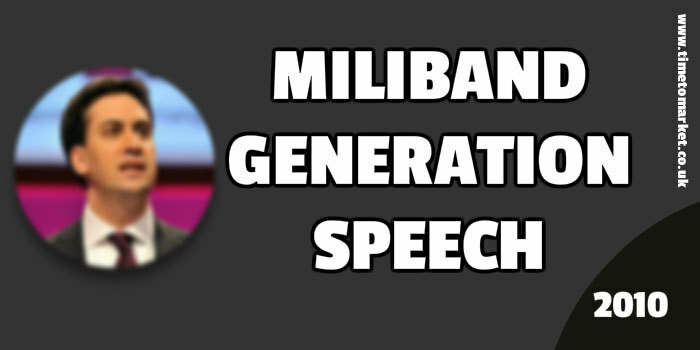 This Miliband generation speech also aimed to set out some markers on his vision, values and goals. And it did so. There was little detail and that’s how he clearly wanted it to be at this stage–quite reminiscent of David Cameron addressing his Party conference for the first time. “Think of how we took on the idea that there was a public ownership solution to every problem our society faced. We changed Clause 4. We were right to do so. Think of how we emphasised being tough on crime was as important as being tough on the causes of crime. We were right to do so. Think of how we challenged the impression that we taxed for its own sake and that we were hostile to business. We were right to change. The last point was perhaps a nod to his mother, Marion. “This new generation that leads our party is humble about our past and idealistic about our future. It is a generation that will always stand up for the mainstream majority. It is a generation that will fight for the centre ground, not allow it to be dominated or defined by our opponents. This particular part of the Miliband generation speech certainly had many in the conference hall wondering which generation they belonged to. In or out. Inside or outside. Too old? “Here is our generation’s paradox: the biggest ever consumers of goods and services, but a generation that yearns so much for the things that business cannot provide. Everything is so this, so that, so everything. This has to be a generational thing…but he’s got to be too old for youth speak, surely? This picked up on the remarks made by Gordon Brown in his April 2010 manifesto speech in Edgbaston. Production-wise this was a stirring performance with some excellent choreography, music, big stage sets, lighting and backdrop of young people. As a great speaker, undoubtedly he has further to go. He can read his autocue with the odd stumble, but his speech writers are on track…if not listing to the left. 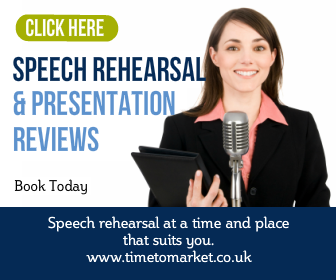 You can discover lots of public speaking tips with our regular series of tips, podcasts and videos. And with such a wide range of subjects, you are bound to find something for your next conference speech. 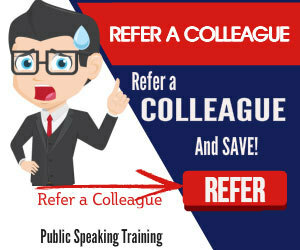 And, when you want to keep ahead of the next generation with your own public speaking skills, then you can always consider one to one coaching or a course. Please don’t hesitate to get in touch when the time is right.